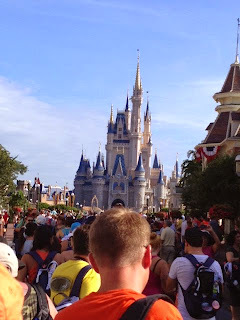 As part of the vacation we ventured to the Magic Kingdom to spend quality time together and with Mickey Mouse and his friends. A day at Disney in July? Yup. Crazy. But, as it turned out it was a good decision. The day was mostly overcast with about an hourlong rainstorm in the middle of the day. Why was this good? It meant we did not bake in the sun! The temperatures were more than moderate. No sunburn, no stifling July heat. Sweet. We also had a good plan. Four rides during the first hour and smart use of the fast pass system for the rest of the day. No hurry. We opened the park and left after the fireworks. Was it a long day? You bet! Don't wear a watch, that way what time it is or how long something took doesn't matter. I got on Disney time and the day flew by. 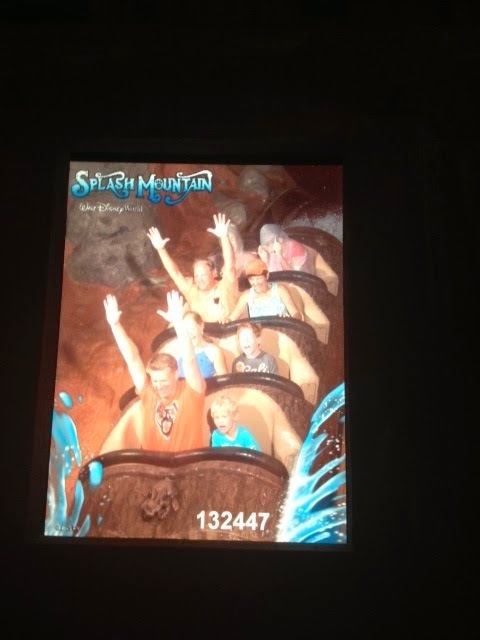 Thunder Mountain railroad has been slowed down and is no longer a thrill ride. It's a Small World is as bad as I remember. Don't let a little rain dampen your spirits. The new Be Our Guest lunch and the Beast's Castle are must do's. Don't do souvenir shopping at the end of the day when everyone else is doing it. Don't do souvenir shopping during the day so that you have to carry stuff around. There is no good time for souvenir shopping. The transportation to and from the parking lots needs work. Especially when everyone is leaving. 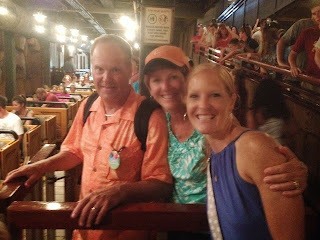 There were a lot more cast members yelling at me to move along than i remember, especially in some of the attractions. 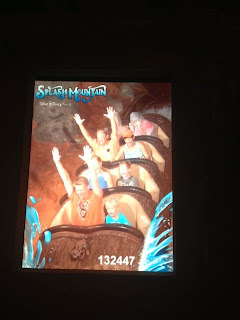 You will get wet on Splash Mountain, get over it. 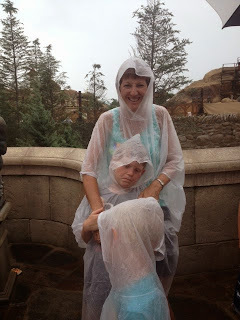 The Magic Kingdom is a lot more fun with my grandsons than i remember it being with my kids. Crowds are a fact of life. The Dole pineapple ice cream float is a must do! Ibuprofen saved the day when my back started hurting. Thanks Nicole and Mike for letting us tag along.